Home > Breweries > It would be criminal not to try Theakston’s thrilling new seasonal brew! It would be criminal not to try Theakston’s thrilling new seasonal brew! A North Yorkshire brewery believes it would be criminal for beer lovers not to enjoy its latest brew. T&R Theakston Ltd has created its first ever lagered ale as the latest edition in its monthly seasonal range, which coincides with their annual sponsorship of the world’s biggest crime writing festival. 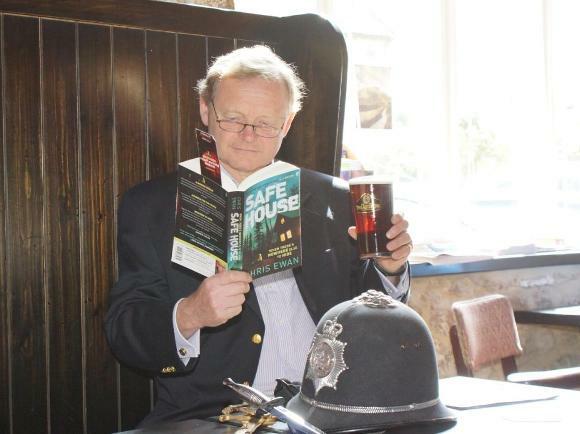 For the last 10 years, the brewery has been the title sponsor of the Theakston Old Peculier Crime Writing Festival, which each year brings the world’s best-known thriller authors to the spa town of Harrogate. A Shot in the Dark – named after the 1964 Inspector Clouseau film – takes its inspirations from the Scandinavian crime thrillers that are hugely popular both in print and on screen in the UK. “Ten years ago the brewery came back under control of the Theakston family and it was the first year we sponsored the festival. “Our seasonal ale range gives us the opportunity to amply demonstrate the creativity and expertise of our brewing team in line with growing market demand for new and interesting crafted cask ale. “This month we launch A Shot in the Dark, which, like every good crime thriller, has a twist in the tale. In our case, it’s a twist in the ale as this is our first ever dark lagered ale. This year’s special guests at the Theakston Old Peculier Crime Writing Festival – which is being held at the Old Swan Hotel from July 18 – 21 – include Charlaine Harris, Ian Rankin, Lee Child and Ruth Rendell.